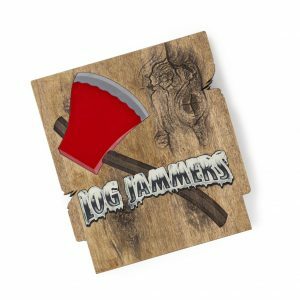 I’ve covered some of Mega Cat Studios games before, well they recently got in touch about their latest game – Log Jammers. This is a Windjammers vibe game with two versions being produced, a NES version and a PC version, each with it’s own features. 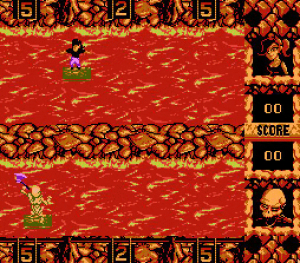 The PC version features online multiplayer & Twitch Interactives allowing chatters to choose how the game is effective. The NES version, however, has one of the best backing rewards: A Wooden NES cartridge! Yes for $150 you get the NES version on a unique NES cartridge. It is quite a backer reward! This is a competitive, arcade sports game featuring ax-throwing, blade-catching action with a retro vibe in the vein of Windjammers. Unique character abilities, funky arenas, and trash-talking timber beasts will keep you chopping! NES & PC are ready for play! Details on the kickstarter including levels and backing rewards are available on their kickstarter page. As of today there’s just over 20 days to go on the kickstarter. 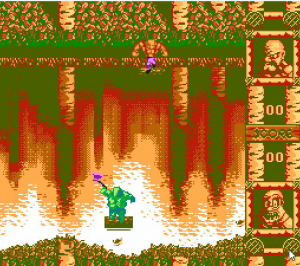 You can read further information about the NES game at the Mega Cat Studios’ website.